January, 2018 began with a move to our new home in Fallon, NV, about 70 miles SE of Reno, NV. 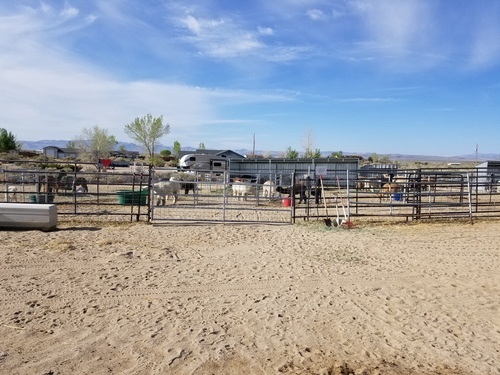 We purchased a larger property and started to build shelters, put up fencing and move 60 alpacas from Reno to Fallon. In March we made our first television commercial (see it here : https://drive.google.com/file/d/1AgVyvkSyFbFOODS1yhrnohZFfgFI3Gjo/view?usp=sharing) We were also selected to enter the Futurity Auction/Show to be held in Kansas City, MO April 13-16. 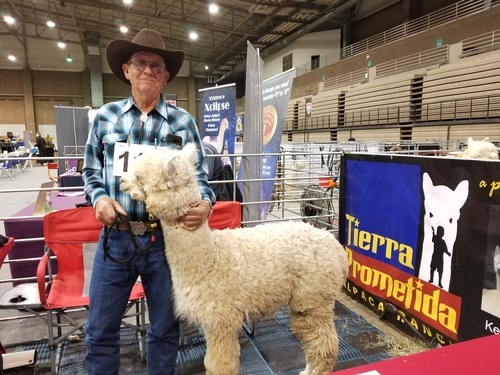 This is a first for us and quite exciting as there are only 40 alpacas chosen from across the US. So we entered Sawdust's Maple (Lot #37). 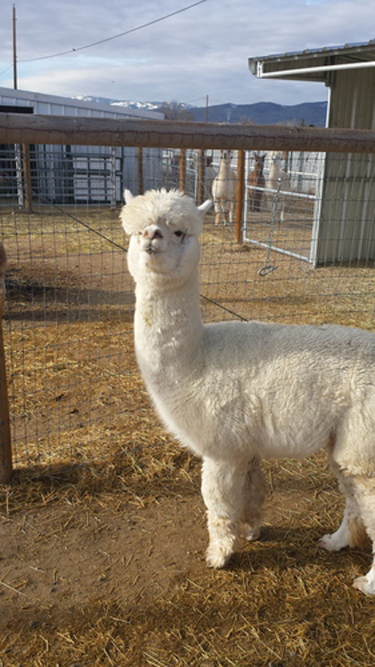 Maple was sold to Foster's Trail Alpacas in Cleveland, TN. We were sorry to see her leave us but are very excited for her to be a part of Foster's Trail program. We were able to purchase TP Julilee's Euphoria who will be bred to Snowmass Elite Legend this fall. May will find us at Alpacapalooza/Caba show in Portland, OR with 8 alpacas to show. Will update with results later. June and July are busy birthing times here. We are anxious to see what our breeding decisions will produce. August will find us in Bend, OR for Education with a Destination. What a great event this is for all breeders and owners! Great venue with people from all over the US and several foreign countries to learn about these amazing creatures we raise. We were able to participate in the Spring Fling at Lattin Farms for Easter and the Cantaloupe Festival in August. 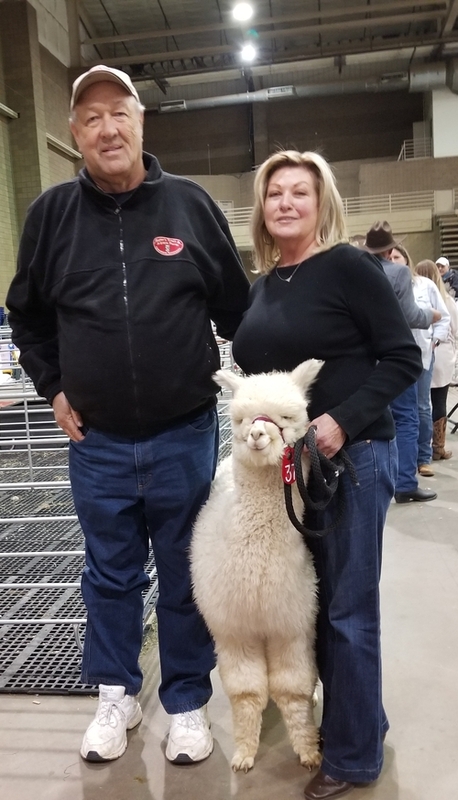 We were able to show 16 alpacss and products at the 4 day event. The next event will be at Christmas. We will offer financing if you need that option. However, we reserve the right to keep the animals (at your expense) until your contract is paid in full. You will be charged a per diem fee (negotiable) while your animals are still on our ranch. You will need to carry your own insurance on the animals you purchase. Immanuel Cuervo Plateado has been our #1 go to male since we have had him. At the age of 11 years, he still has several traits in the top 1% EPD's and several in the top 5-10% rank across the nation. Cuervo has great ancestry in Augusto, Sher Khan, etc., perfect confirmation, still has a 23 AFD micron count. He is a super male with attitude, as you can see by his stance. We are so blessed to have had this male for the past 8 years. He has continually given us exceptional crias.